Performing since she was 8-years-old and writing her first song at 11, it’s no wonder this young woman exudes the confidence of a veteran. 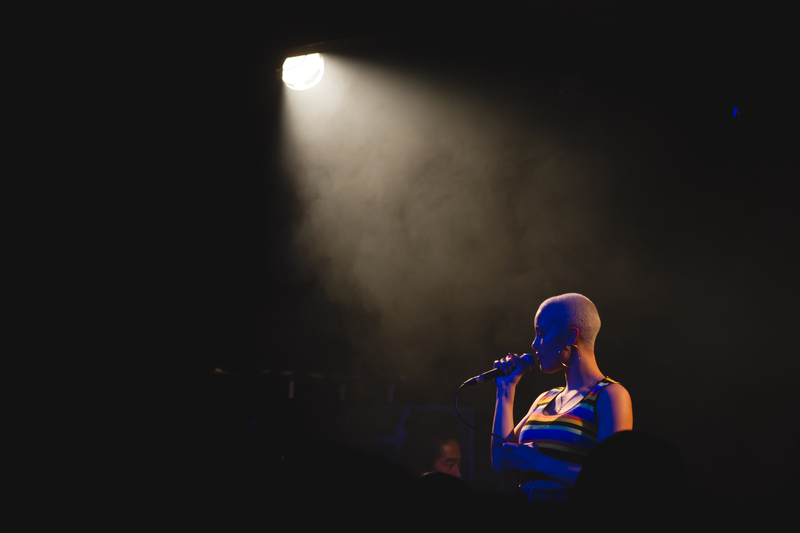 Being compared to the likes of Lauryn Hill and Amy Winehouse, Jorja Smith is definitely capturing the eyes and ears of music lovers alike. Following the 2015 release of Project 11 it was only a matter of time before the Walsall, England soulstress made her way to the US. 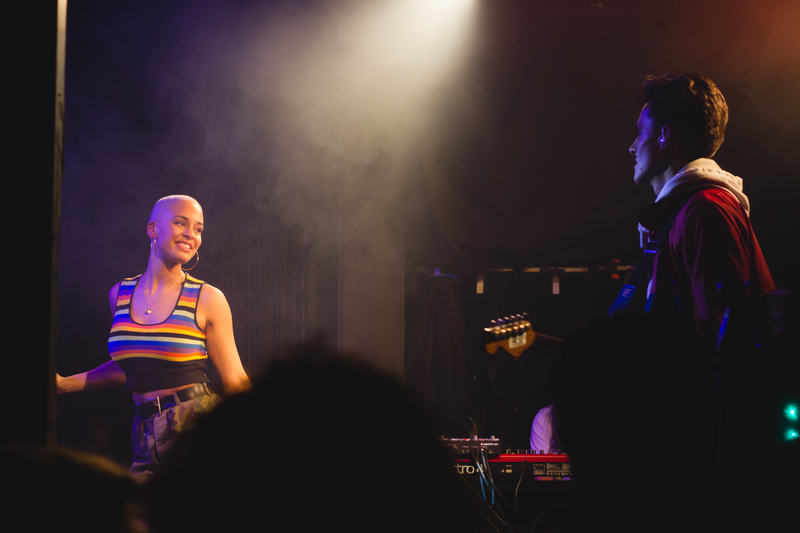 Taking over a sold out show at The Echo in Los Angeles, Jorja’s newly bold and blonde shaved head caught the attention of everyone. The way she stomped onto the stage and grabbed the mic as if it were a longtime lover foreshadowed what was to come. Singing a host of songs from her debut project, including singles “Something in the Way” and “So Lonely,” 19-year-old Jorja drew everyone in. You forget the distance she’s traveled to get here the way her voice settles not only in your ears but in your heart too. She has a way of making you feel at ease with every note. Her small, yet phenomenal band accompanied her exceptionally well. Audience members were in for a treat when English-Irish singer, songwriter, and rapper Maverick Sabre joined her on stage to perform their duet singles, “Carry Me Home” and “A Prince.” Their vocals together were so pure. Maverick’s solid vocals echoed through the venue’s dark corners perfectly. Previously seeing their “Carry Me Home” performance for BBC Radio 1 was indeed great preparation for what was witnessed that night. Introducing new single “Don’t Watch Me Cry,” it’s sure that this year will be smooth sailing for the songwriter. There was a sentimental moment during her performance as she sang “Goodbyes,” a song she had written at the tender age of 16 after losing a dear friend. It touched everyone in the building and noted how precious life truly is. “Where Did I Go?” was an obvious crowd favorite. They sang every word without missing a beat. 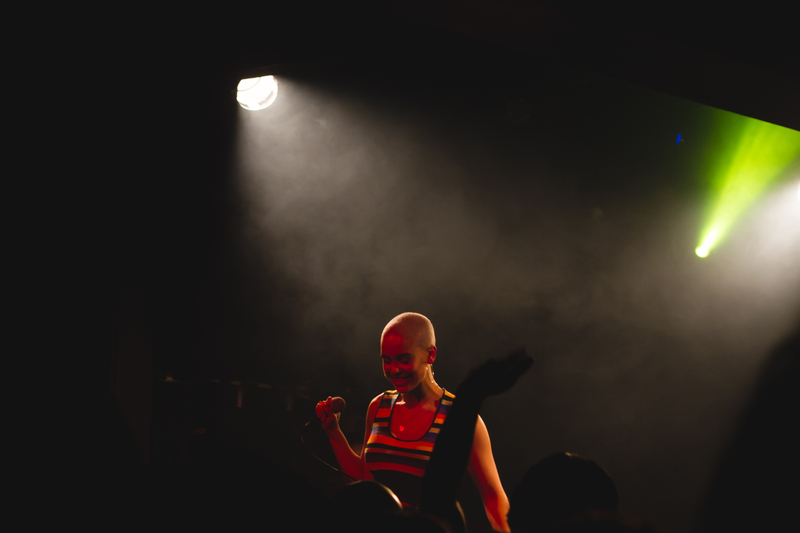 Before the night was over the audience’s chant for an encore brought Jorja back to the stage. She ended things just as she began, powerful, yet graceful with a performance of single “Blue Lights.” The single already has over 100k plays on SoundCloud and samples Dizzee Rascal’s “Siren.” Check it out below.